Bill Keener, cofounder of Golden Gate Cetacean Research, created to study the porpoise, will tell us of their disappearance by the 1940′s, the mystery of their unexpected return in recent years, and how you can help by reporting your porpoise sightings. Bill’s experience includes work as a field observer for the harbor porpoise population study in the Gulf of the Farallones National Marine Sanctuary from 1987-1989. He is an environmental lawyer and the former Executive Director of the Marine Mammal Center. 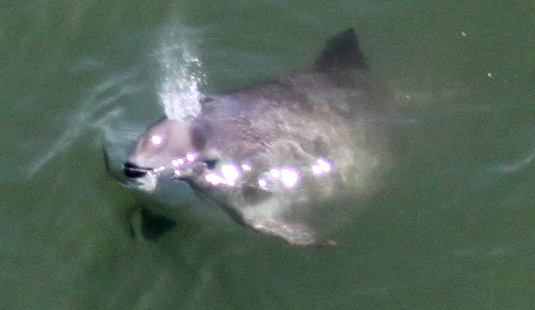 Read more about Bill and porpoises in Bay Nature magazine, Jul-Sep 2011, Safe Harbor, Welcoming Porpoises Back to San Francisco Bay.